Course fee is only €195 (similar courses in Dublin are €400). 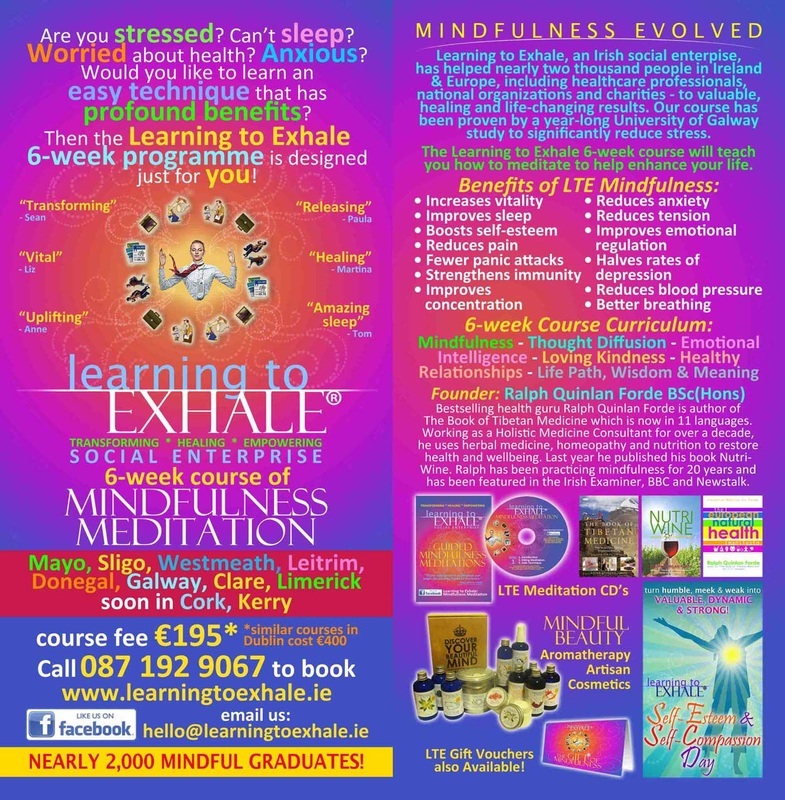 Gift Vouchers (The Gift of Mindfulness) are also available for these courses, and can be delivered anywhere in Ireland. Contact us on 087 192 9067 or hello (at) learningtoexhale (dot) ie for more information / booking form. CLICK HERE FOR PEOPLE'S FEEDBACK!